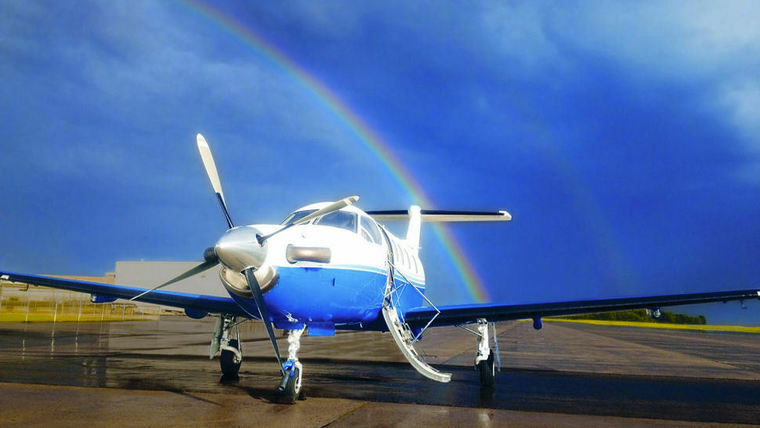 The Pilatus PC-12 makes the difference! Enjoy its superior range, ultra-smooth ride, big-cabin comfort and short and grassy runway convenience – all at one great low hourly rate. The PC-12’s impressive short field performance allows it to access up to four times as many airports as other similarly sized jets. This means more exclusive destination options for you. 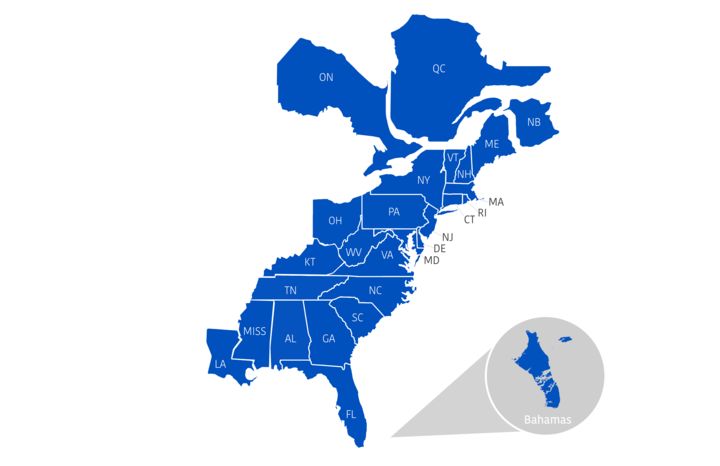 FLITE Air Taxi can fly you in the Eastern United States and Canada Time Zone and Bahamas. The Pilatus PC-12 is an efficient and versatile machine made for travelers who enjoy elegance and comfort as much as the confidence of flying in a truly remarkable plane. The jet turbine-powered aircraft is renowned for its superior performance and its ability to access remote runways while feeling right at home at major airports. The Pilatus PC-12 aircraft was built with passengers in mind – purposefully designed for comfort, with six spacious seats in an executive style configuration. At 330 cubic feet, the PC-12’s interior cabin is roomier than similarly sized jets, including the Hawker 400XP, the Lear 45, and the Citation Jet 3. Six comfortable seats are arranged in an executive style configuration. Many who have flown in a Pilatus PC-12, or watched as one was landing, are impressed by how smooth the landing felt and looked. These gentle landings are attributed to the skill of highly trained pilots, but they are also due in part to the aircraft’s retractable trailing-link landing gear. Famous for comfortable landings even on the roughest surfaces, the trailing-link gear combines a massive swinging arm with an oleo strut, which helps to absorb the shocks. This gear is the reason PC-12 aircraft can land on all types of unimproved runways with such ease — including grass, dirt, and crushed coral. FLITE Air Taxi is an air charter program of Private FLITE. From piston aircraft for the shortest of hops to our flagship Pilatus executive turboprop, FLITE Air Taxi offers a seamless, professional and economical alternative to private jet travel.